Esther 5:9 (NIV) "Haman went out that day happy and in high spirits. But when he saw Mordecai at the king’s gate and observed that he neither rose nor showed fear in his presence, he was filled with rage against Mordecai." If so, that would be considered a small version of how Haman reacted to Mordecai in Esther 5. Even after Haman had participated in a private banquet for three, hosted by none other than Queen Esther – seeing Mordecai sitting confidently at the king's gate filled Haman with blistering rage. Moments earlier he was cheerful and in high spirits because he felt honored by the king and queen. But when Mordecai didn't tremble in his presence or bow down to him, Haman felt cheated of honor and respect, squeezing every ounce of happiness right out of him. Haman couldn't wait to get home and call all of his friends together to boast on himself and remind everyone of how great he was. Self-pride and honor had become Haman's favorite cocktail and he was addicted to sipping on it, especially in front of others. Obsessive talk about Haman's enormous wealth, high position with King Xerxes and what he perceived as great favor from Queen Esther monopolized the conversation. But as Haman thought of Mordecai once again, the temporary happiness he found in boasting about himself evaporated into thin air. Haman thought he had rightful power to rule over others, but was fooled by his own manipulator, called pride, that was ruling him. Haman craved being honored by others, which blinded him from the truth that his actions were becoming monstrous and judgment would certainly follow. No longer could Haman wait for destruction to fall on Mordecai. That very day he had a towering pole built, confidently assuming the king would accommodate his request to have Mordecai impaled on it the following day. "Pride goes before destruction, a haughty spirit before a fall. Better to be lowly in spirit along with the oppressed than to share plunder with the proud" (Proverbs 16:18-19). "The LORD detests all the proud of heart. Be sure of this: They will not go unpunished" (Proverbs 16:5). At its root, self-pride is sinful. 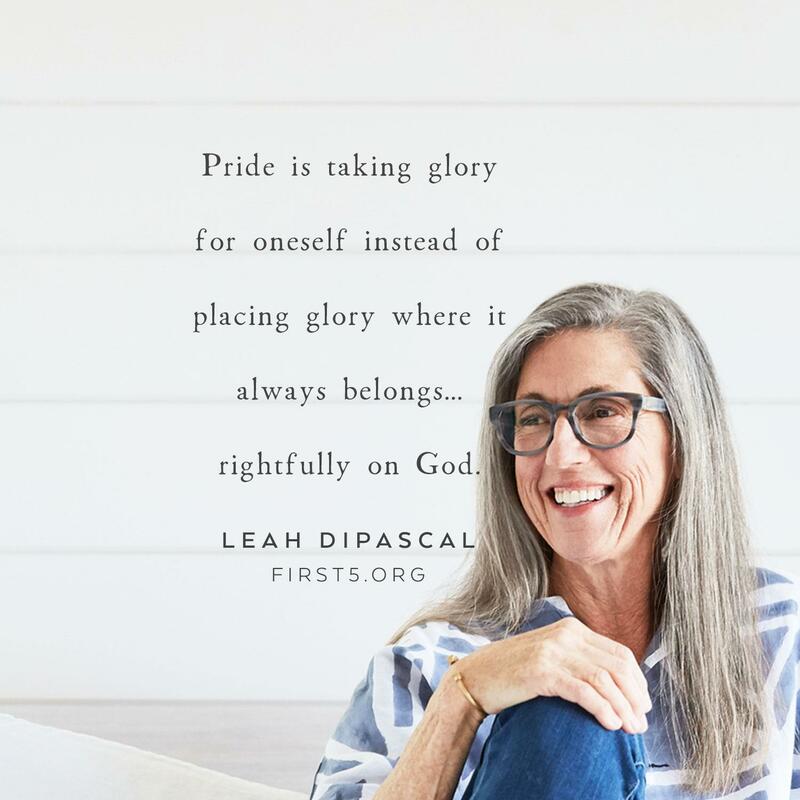 It is taking glory for oneself instead of placing glory where it always belongs – rightfully on God. Pride is nothing more than self-worship. It seeks to honor the one created instead of the Creator of all. Throughout Scripture we read stories of others who have fallen hard into the harsh consequences of pride. And some of our greatest heroes of today will become casualties of the future, because self-honoring, instead of God-honoring, will lead them on a path to self-destruction. So how can we make sure that self-serving pride doesn't creep up on us and erect poles that will crumble beneath our feet? Prayer: Heavenly Father, every time pride makes its way into my heart, help me to remember and declare the truth written in 1 Chronicles 29:11 that says "Yours, LORD, is the greatness and the power and the glory and the majesty and the splendor, for everything in heaven and earth is yours. Yours, LORD, is the kingdom; you are exalted as head over all." In Jesus' name, amen.